Retro jerseys are the new rage. Throwbacks to a bygone era. A glimpse into the history of our favorite sports, franchises, and players. For motorcyclists, however, the jersey’s get left at home -- our retro is all about the helmet. The Shoei X-14 Rainey Helmet is a homage to the great Wayne Rainey. Taking its aesthetic from the graphic that the racer notably rocked during some of his most legendary rides, the X-14 merges the style of one of the greatest motorcyclists of all-time, with the contemporary, ultra-premium construction of a modern race juggernaut. 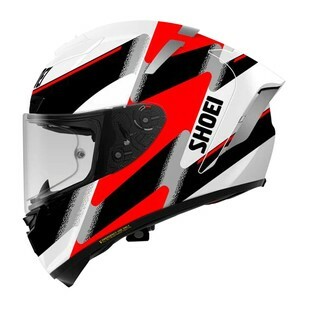 In addition to the sheer style and class that comes with the Rainey graphic (and the swag of a 3 time 500cc World Champion), racers get one of the most renowned racing lids in the game in the X-14 blueprint upon which the graphic resides. 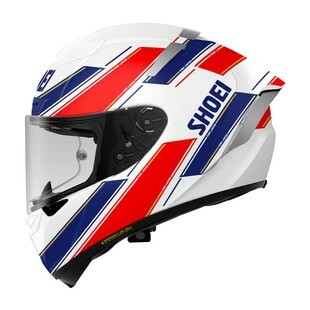 Following suit with the retro-racer theme, the Shoei X-14 Lawson Helmet gets its style from that of 4 time Grand Prix motorcycle racing world Champion, Eddie Lawson. It is fitting that the two helmets are being released as the same time as the both legends have remained friends to this day. As with the X-14 Rainey, the X-14 Lawson helmet is a rooted in the past as it is precision-crafted for the future. Additional features of the Shoei X14 Lawson helmet include a high-performance Advanced Integrated Matrix Plus shell, a max-air ventilation system, and extensively researched aerodynamics for top-end performance at the track. Every sport has its legends. That is part of the fun. In looking back at the long lineage of great motorcycle racers, both Wayne Rainey and Eddie Lawson definitely reside in such territory.